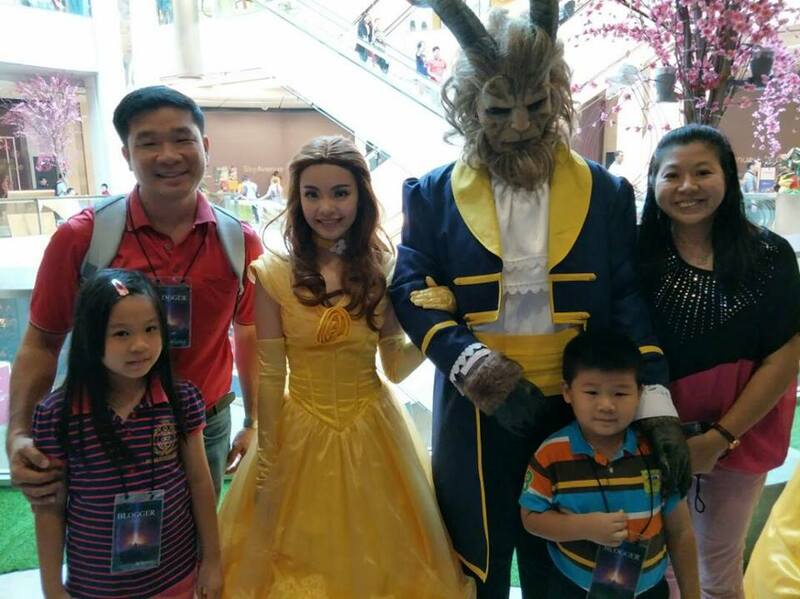 A few days ago, my parents brought me to Genting Highlands as I was invited by the PR team of Resorts World Genting. Thanks for letting me be a kid blogger to cover events there. 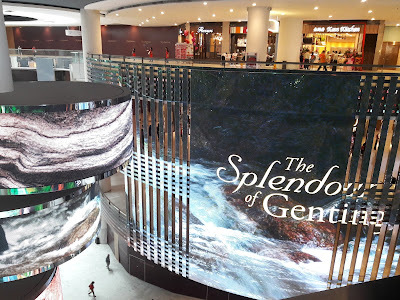 I love to visit Resort World Genting because there is always so much to see and do there. 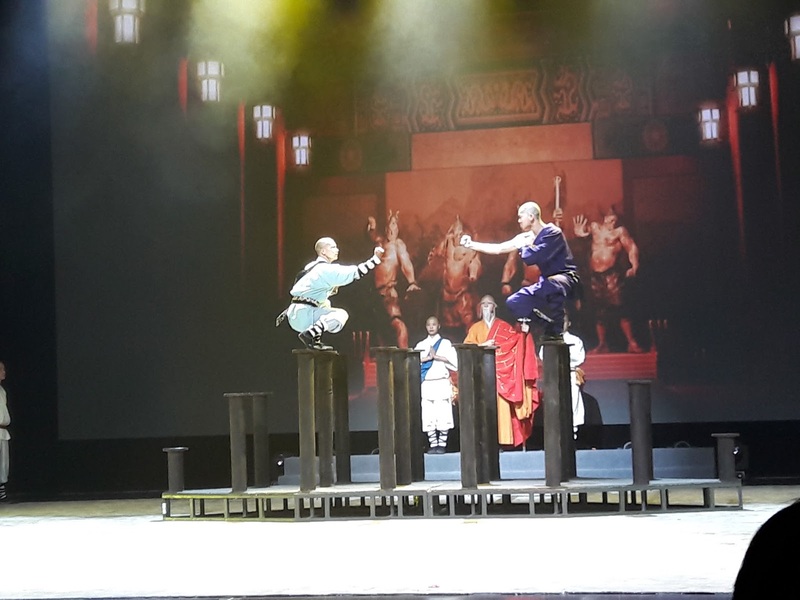 We watched the Soul of Shaolin theatrical show at Genting International Show Room. This show was about Hui Guang's story when he was forced to be abandon by his mom, how he became a Shaolin monk and in the end reunited with his mom. 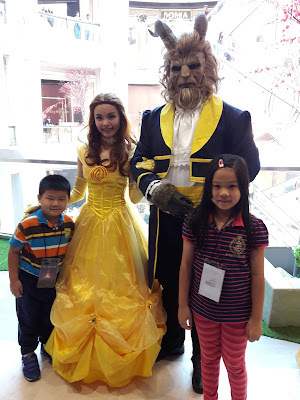 To know more about the story, read my earlier blog HERE. 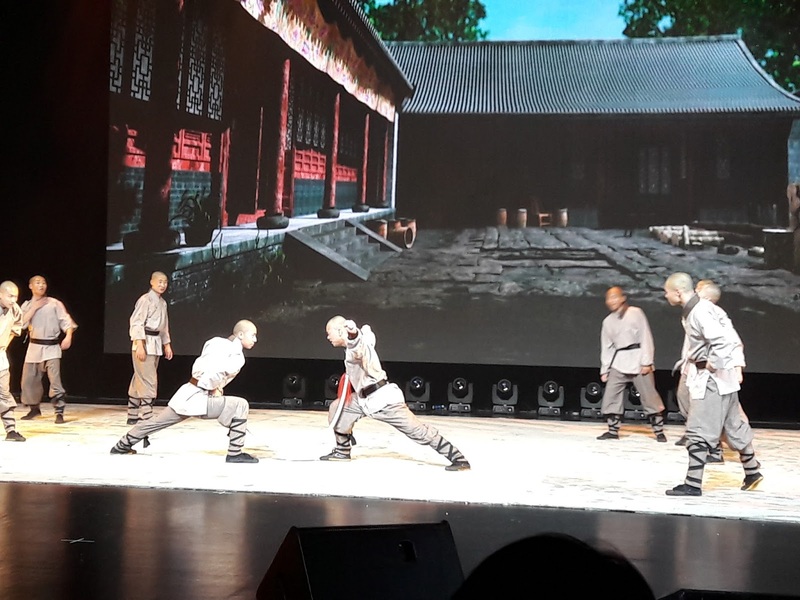 This is the first time I watched such an interesting kungfu performance live on stage. 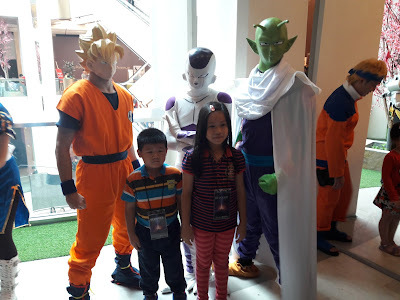 I could not believe that they could do all the dangerous acts. 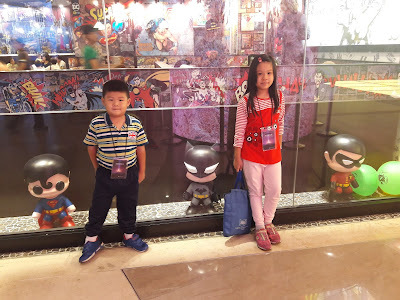 The story was very interesting and the I enjoyed the whole show. 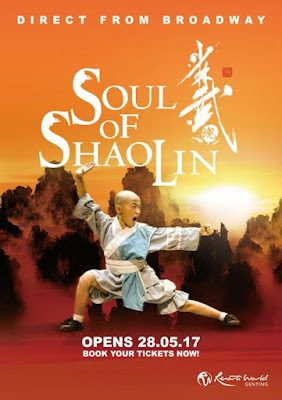 There are 2 shows at 9pm or 4pm from 28 May to 26 June 2017. There will be two shows at 4pm and 9pm on 24 June. 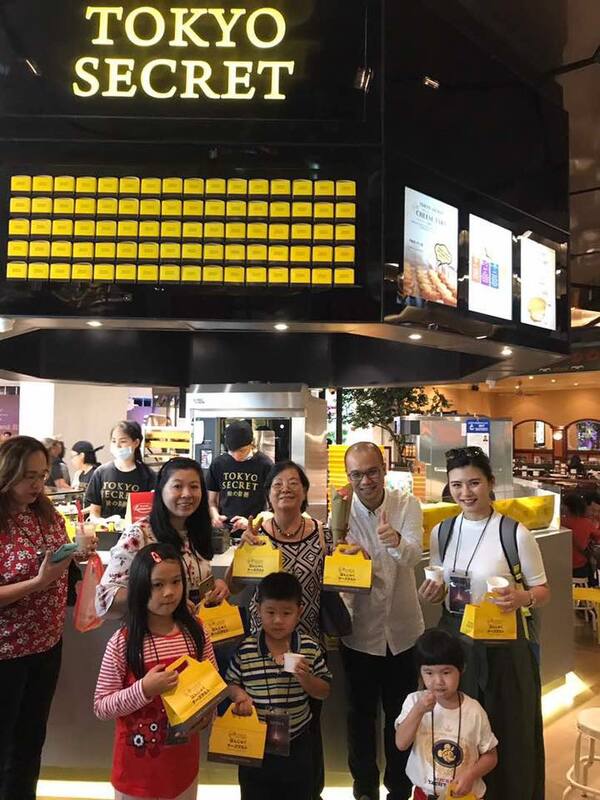 A total of 22 shows are scheduled, with each screening lasting 90 minutes (with 10 minutes intermission). Another interesting show at Sky Avenue is the Genting International Children's Festival where there are “Cheers & Pom: Cheerleading,” to be held at Level 1 of the mall, “Storyland: Cosplay Meet & Greet” at Level 2, and “Street Beats: Brass Ensemble” at Level 3. Two other activities are “Paradise: Forest Fairies Ballet Dance,” to be held at First World Rainforest, and Boulevard's Parade at Genting Grand Open Car Park. 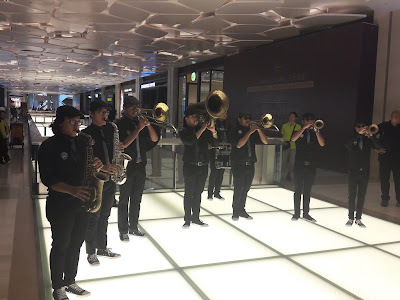 I enjoyed the music of the "Street Beats: Brass Ensemble" very much. 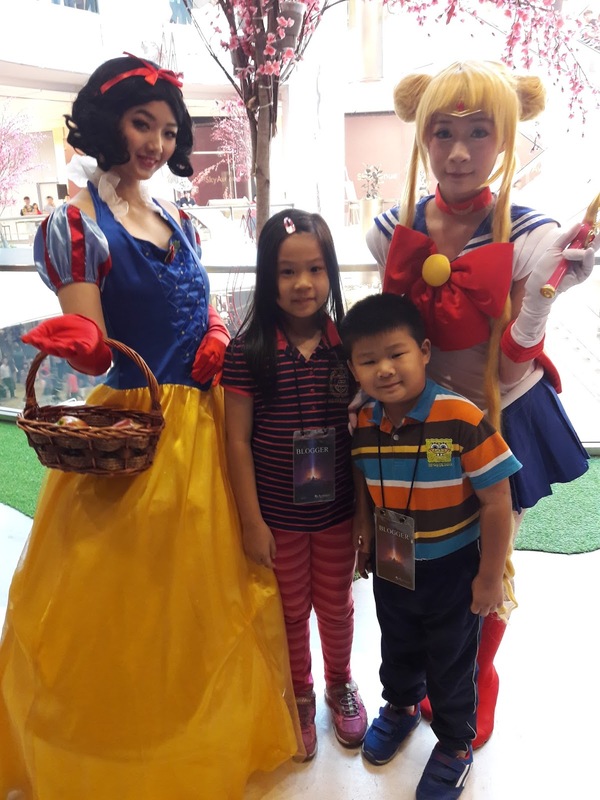 I also loved the “Storyland: Cosplay Meet & Greet” where I saw Snow White, Beauty & the Beast, Sailor Moon, Joker, Naruto and many more characters. 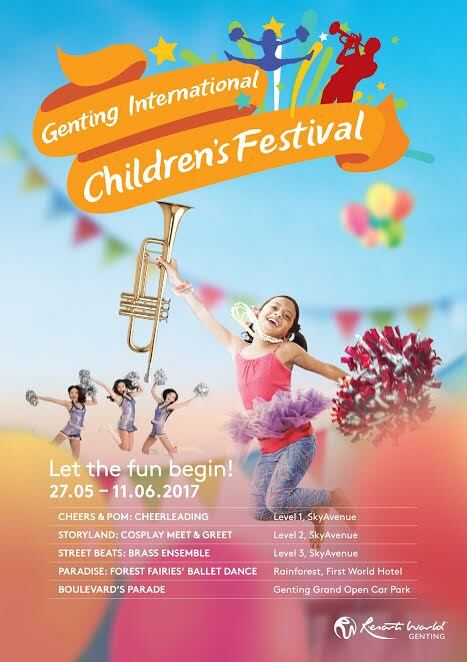 This Genting International Children's Festival will be from 27 May to 11 June 2017. Come here and enjoy all the great dances and music this school holidays. My family had a memorable and great experience. Looking forward to my next Genting trip soon. 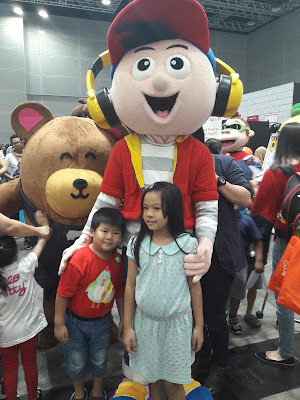 School holidays is coming really soon and I am very excited. 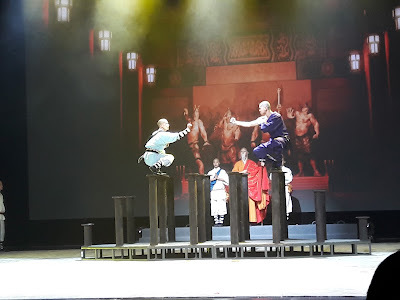 My mommy told me she will bring me to Resorts World Genting because there are plenty of activities there, particularly the Genting International Children's Festival 2017 and Soul of Shaolin, a critically acclaimed theatrical event that has toured the world in order to showcase the magnificence of Shaolin kung fu warriors. If you do not have any plans for this coming school holiday, you can come to Resorts World Genting. This is to be held from 27 May to 11 June carries the tagline, "“art, dance and music,” and is set to be a visual feast where guests can enjoy soaking up the carnival atmosphere. As evident, the Genting International Children's Festival promises variety there is something for everyone from cheerleading to cosplaying to ballet. People-watching should also be an enjoyable activity at “Storyland: Cosplay Meet & Greet” where cosplayers will have a field day dressing up as their favourite characters, while “Street Beats: Brass Ensemble” promises fun in music street musicians playing drums, trombones, and trumpets, among others. 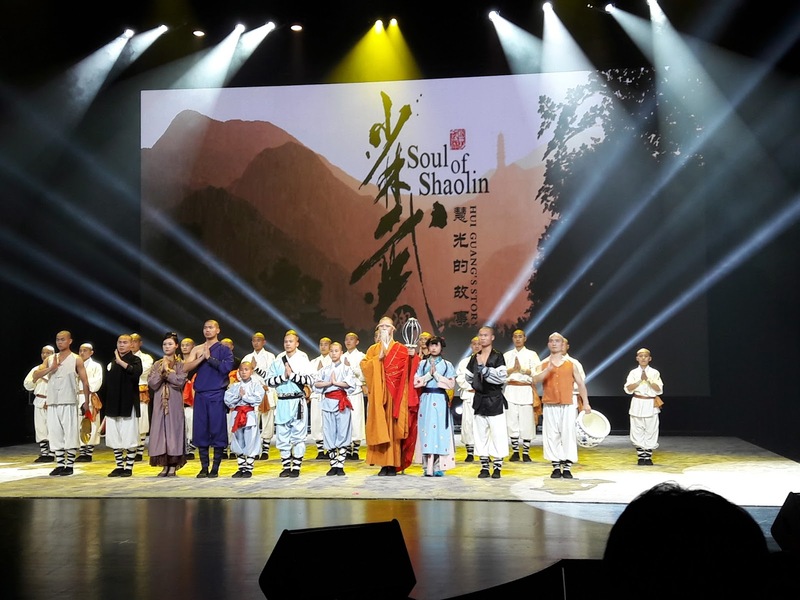 A critically acclaimed show that earned a nomination at the 63rd Tony Awards in 2009, it has held more than 500 performances worldwide in such countries as the US, Australia, Italy, Norway, India, Korea, Turkey, Macau, Hong Kong, and Turkey. When it opened at Marquis Theater on Broadway in January 2009, all its seven performances were sold out and Jan 15 was promptly proclaimed China on Broadway Day by New York City. At Resorts World Genting, Soul of Shaolin: Hui Guang's Story will be held at Genting International Showroom at 9pm or 4pm*, from 28 May to 26 June 2017. 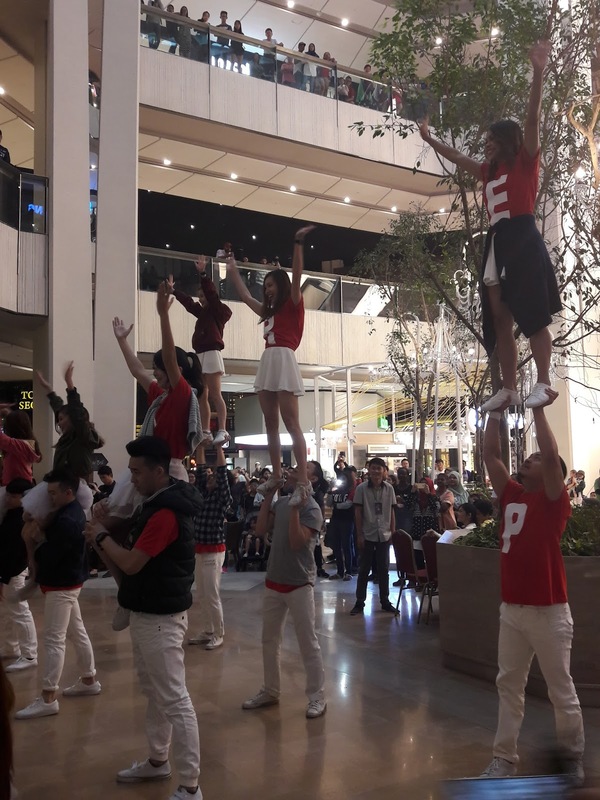 There will be two shows at 4pm and 9pm on 24 June. A total of 22 shows are scheduled, with each screening lasting 90 minutes (with 10 minutes intermission). Depressed upon learning about his tragic past, Hui Guang gets drunk and ends up provoking other monks. He is then punished by Miao Xing who places him in a cave known as Bodhidharma. 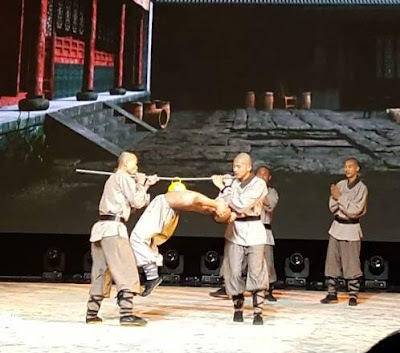 As it turns out, Hui Guang learns about being a paragon of virtue that it is the real soul of Shaolin. Mother and son are reunited and both wish to leave the temple to begin life anew. Unfortunately, temple rules dictate that a monk that wishes to leave, must fight his way out. 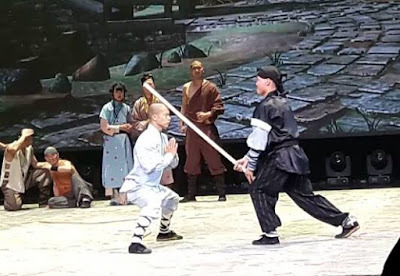 As it turns out, the final opponent Hui Guang must face is Na Luo and the latter chooses to fake his vanquishing in order to help Hui Guang. The story thus ends well, with Hui Guang and his mother leaving the temple to start a new life. I love my mommy very much. This year I celebrated Mother's Day with my grandma, mommy and my brother at Sky Avenue Resorts World Genting. Thank you Irene Jie Jie for inviting me as a kids blogger. I was very happy and excited that day. 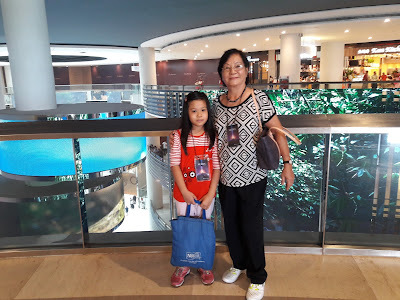 We departed from Wisma Genting at 10:40am by van and reached Awana Hub about 1 hour later. There are many gondolas there without the glass floor and my mommy told me that we will be going on the ones with glass floor. 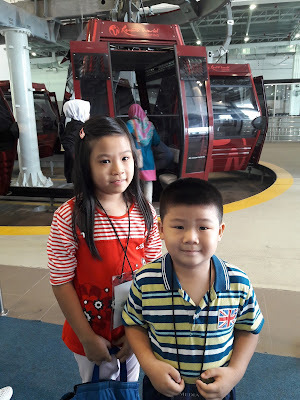 This is the first time I tried the gondola at Genting Highlands. 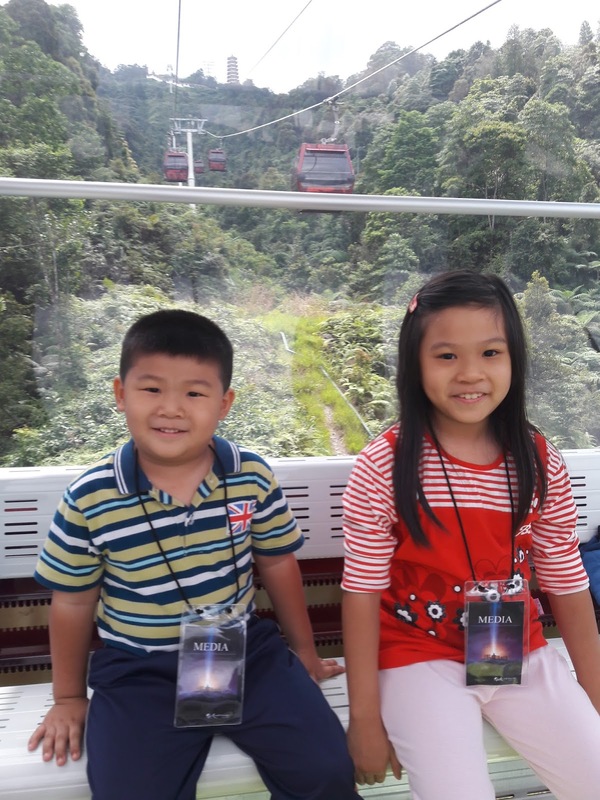 I enjoyed the scenery on the gondola ride. It was very beautiful. 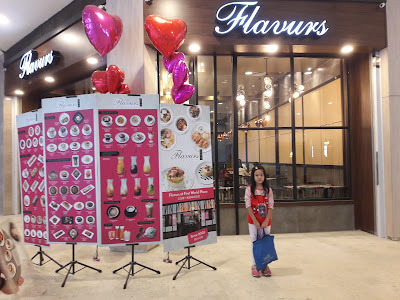 When we reached Sky Avenue, we went to Flavurs restaurant for lunch. It is on 4th floor of Sky Avenue Mall. 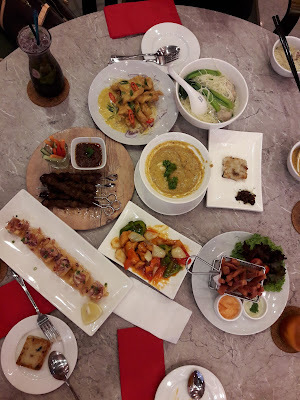 We ordered many delicious dishes there such as Mushroom Soup, Porky Fries, Pork Satay, Smoked Salmon Roll, Shrimp & Chicken Dumpling Noodles, Sweet & Sour Chicken Cubes, Butter Chicken, Pan Fried Radish Cake, Deep Fried Beancurd with Thai Chili Sauce, desserts and drinks. We enjoyed our lunch very much. 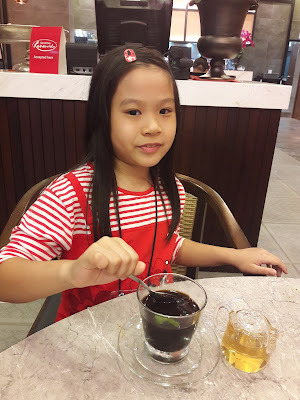 This is my dessert - Guilin Herbal Pudding. I love this because it's like jelly. After lunch, we went shopping. 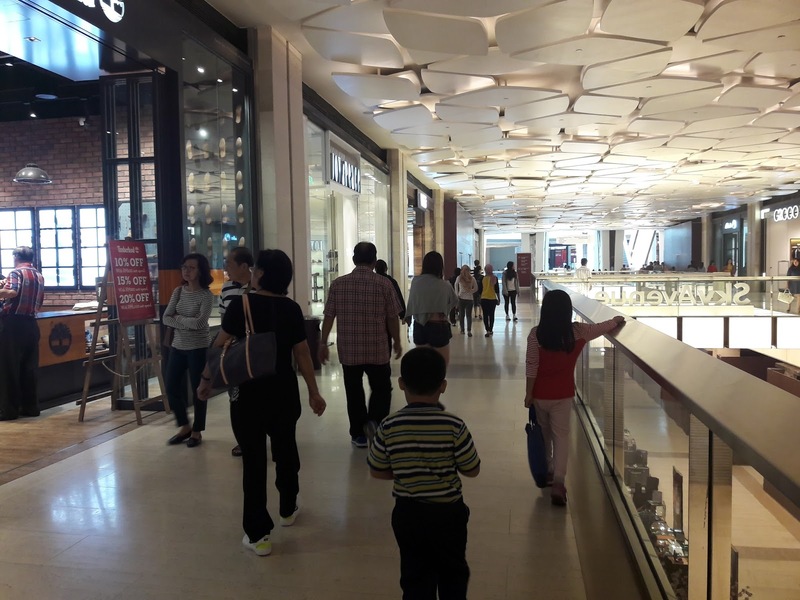 There are many retail outlets such as Padini Concept Store, Sketchers, G2000, Adidas, Poh Kong, Bonia and many more. You will see lots of Food & Beverages outlets here namely Absolute Thai, Burger & Lobster, Babajia, BMS Organics, Madam Kwan's, Richdad, Tampopo, Dragon-i, Motorino, Acme Bar & Coffee, Tai Bae, Kyochon 1991, Cafes Richard, Wanhoi Yamcha, Dome, Tonkatsu, Din Tai Fung and lots more. 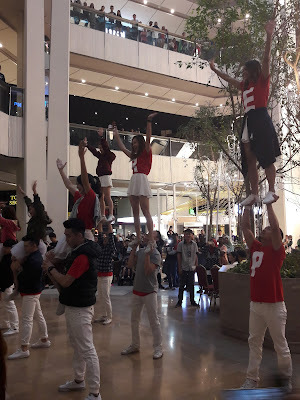 Later, we watched the Flash Mob dance. 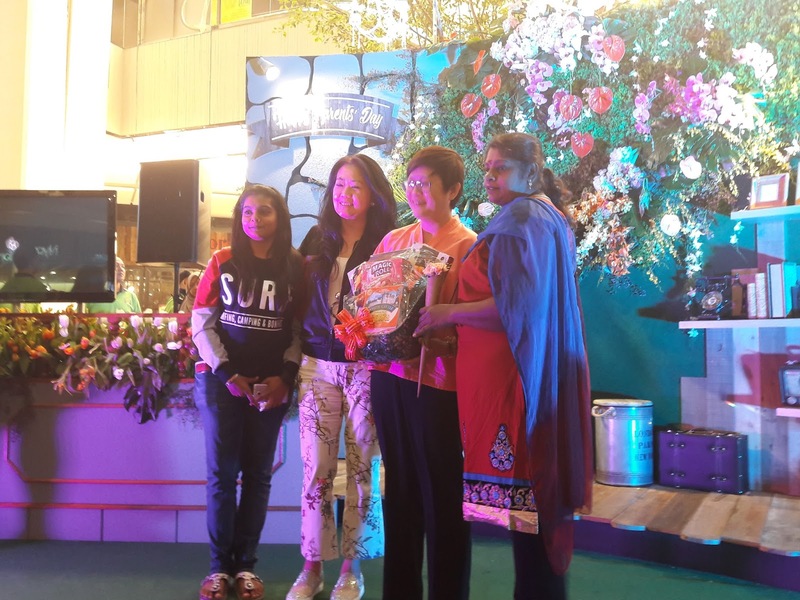 There was presentation of hampers to single moms and their children by Datin Paduka YB Chew. 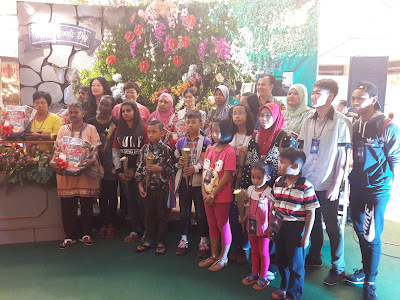 These single moms & children had lunch at Resorts Steamboat and outing at SnowWorld earlier. After that we were treated to desserts, waffles, ice-cream, cheese tarts and more. 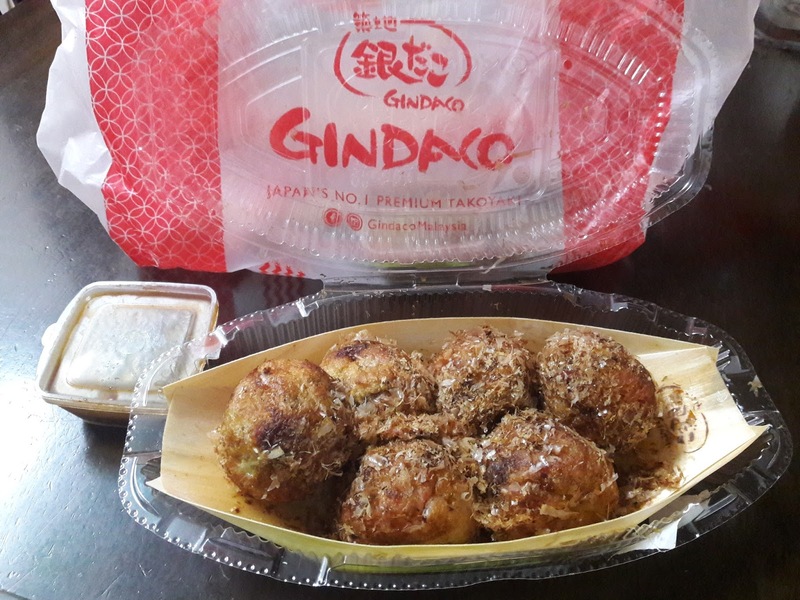 I liked the Takoyaki at Gindaco. It was very tasty with a piece of octopus inside. 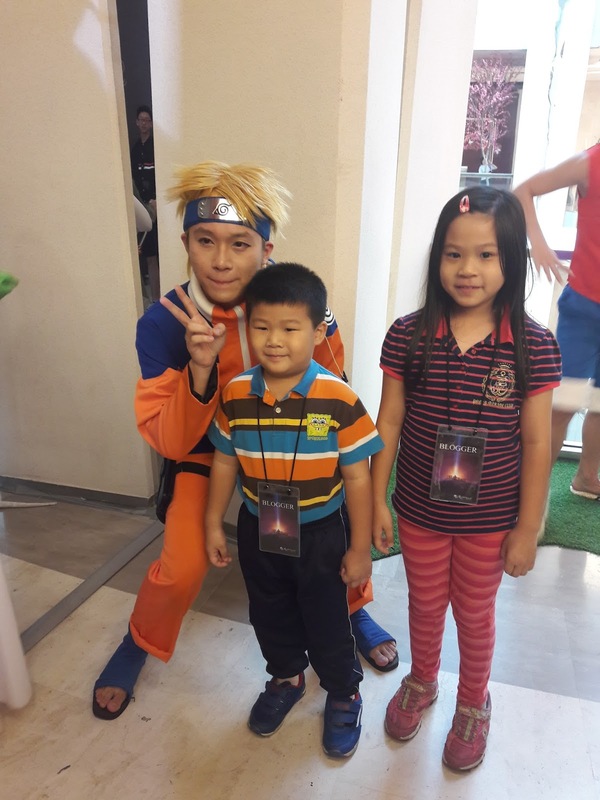 My brother enjoyed his cheese tart from Tokyo Secret. Inside Scoop ice-cream. I had the mint flavour. We took home some of the food as we were quite full. 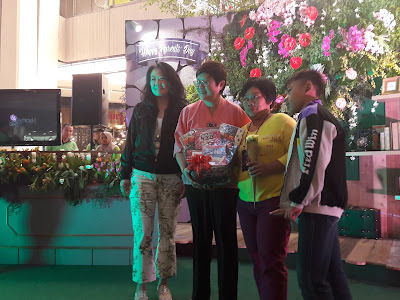 It was such an enjoyable Mother's Day celebration here. I want to go again soon. 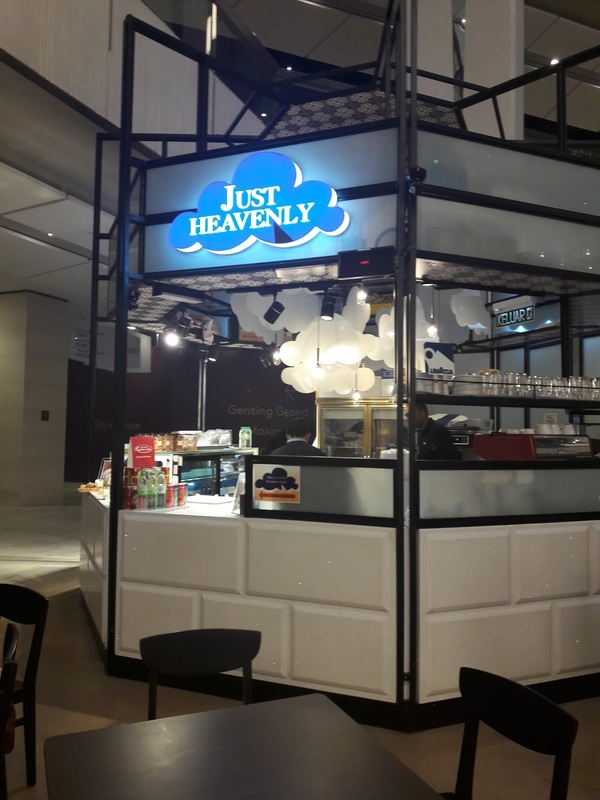 Thank you so much Irene Jie Jie for the invitation, Flavurs for our delicious lunch and to Gindaco, Madame Waffle, Gong Cha, Tokyo Secret, Inside Scoop and Just Heavenly for the snacks and drinks. 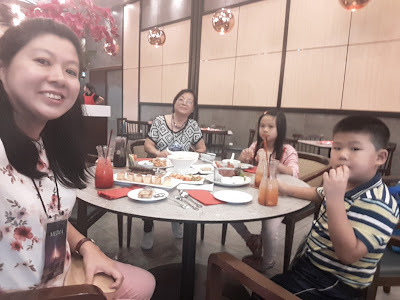 If you would like to read my mommy's blog, click HERE. Thanks for reading. Recently my parents brought my brother and I to the Smart Kids Asia exhibition at KL Convention Centre. 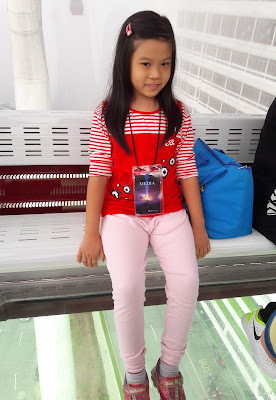 There were many activities there and I learnt a lot. There was free dental check up, on stage meet and greet with King Julien, Doraemon, Pororo The Little Penguin, Robocar Poli and Tobot. I liked the Kiddo Science booth the most because I made my own green slime there. 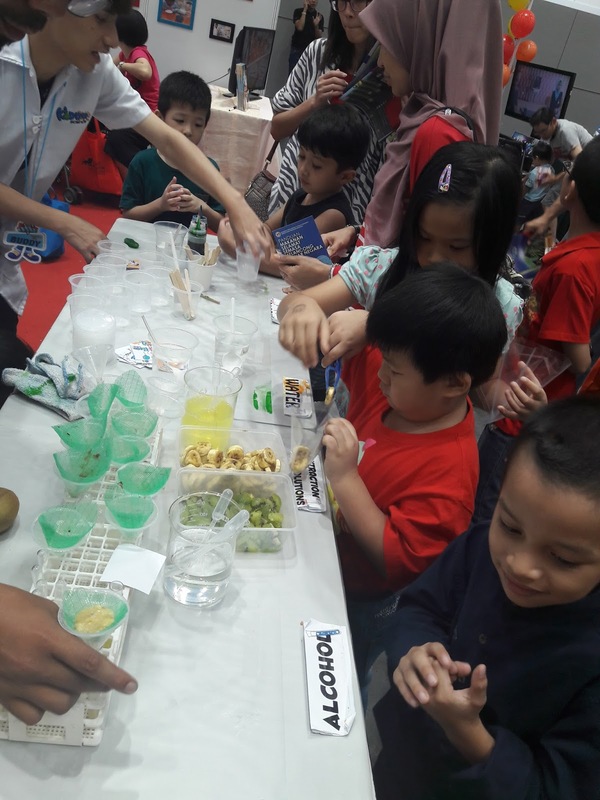 I have always wanted to play with slime and I was very happy. 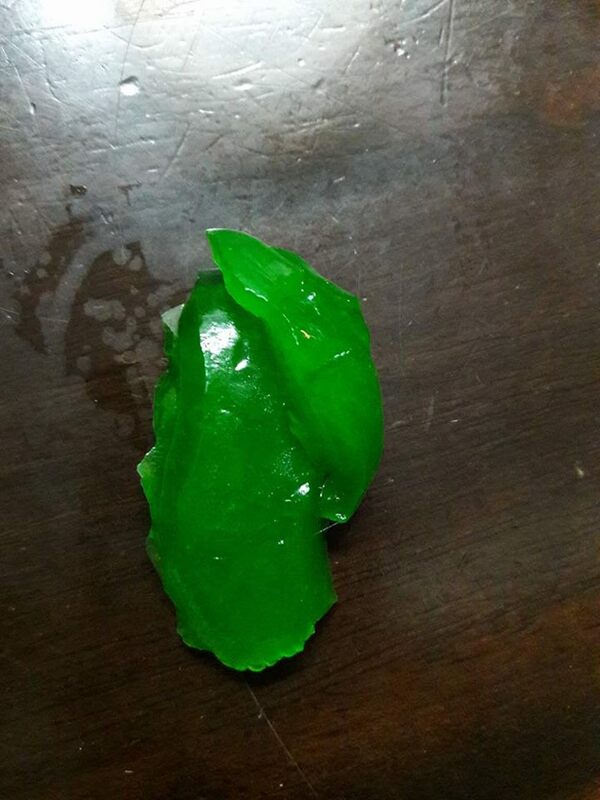 I used food colouring, glue, water and salt. There were also other experiments I tried with my brother there. 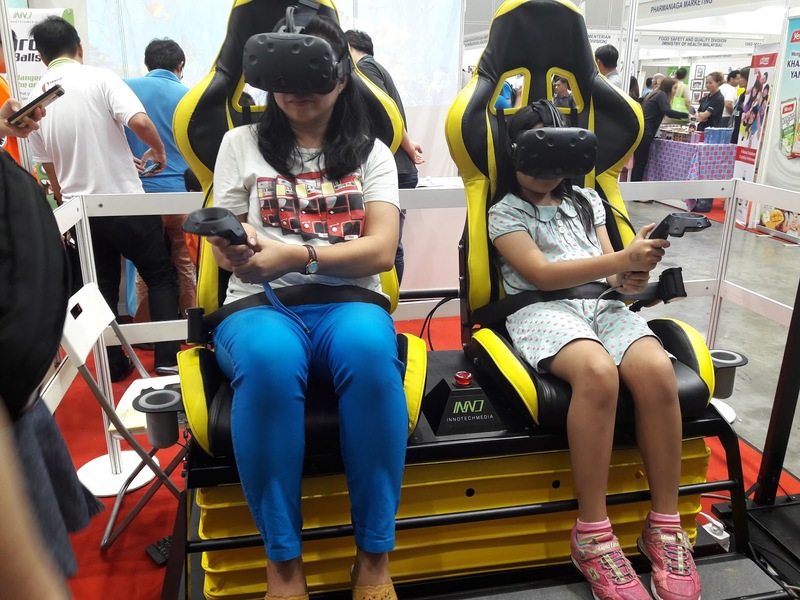 Another interesting and fun experience was the VR (Virtual Reality) Experience at the Inno Tech Media booth. This was the first time I tried this and I really liked it because I felt like I was inside the game and shooting the skeletons which came very near me. There were other games we played such as throwing the ball at the rubbish to save the sea creatures in the ocean. 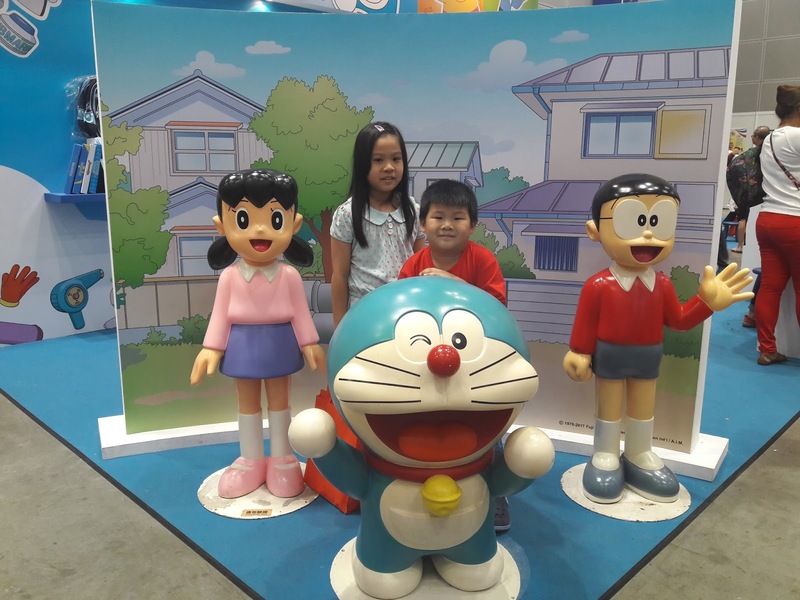 There were many other activities like colouring contest and trial classes which I did not have time to join but my brother and I really enjoyed ourselves here. 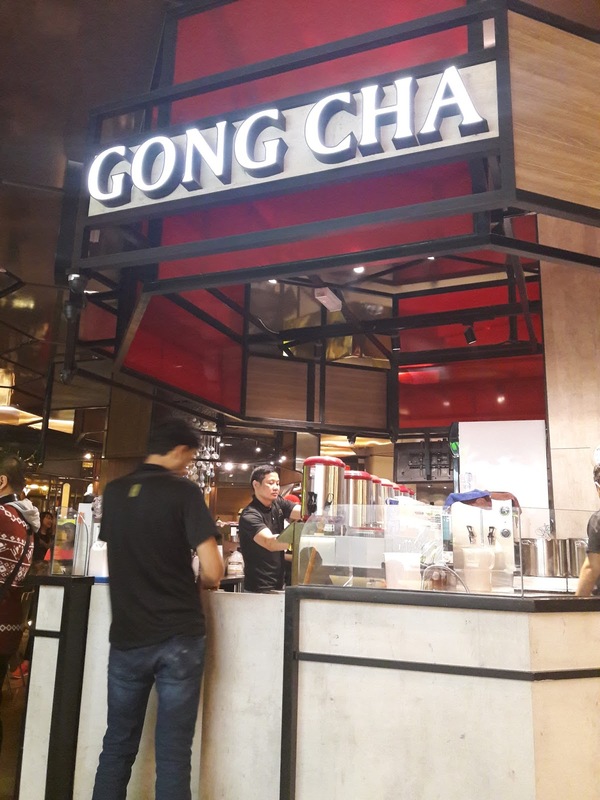 We took nice photos here. 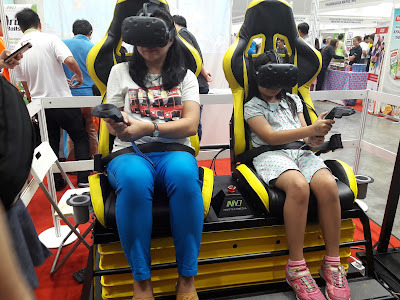 If there is future Smart Kids Asia exhibitions, I want to go again. 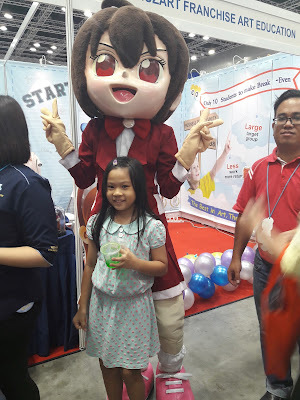 Admission is free and I received lots of vitamins, Yeo's yogurt drink, Doraemon toys and other things. I was happy holding my slime. 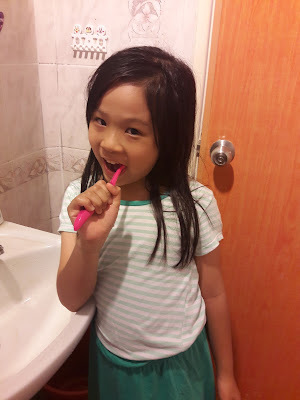 I love to brush my teeth but sometimes I am lazy and forget to brush my teeth before I go to bed. My parents will try to remind me to brush my teeth and take good care of my teeth since some of my teeth are permanent teeth. Recently, my mom received some Jordan toothbrushes for review. My mom's review is HERE. Jordan from Norway is celebrating its 180th anniversary. My mom said the first toothbrush I used when I was a baby was Jordan's step 1 toothbrush. 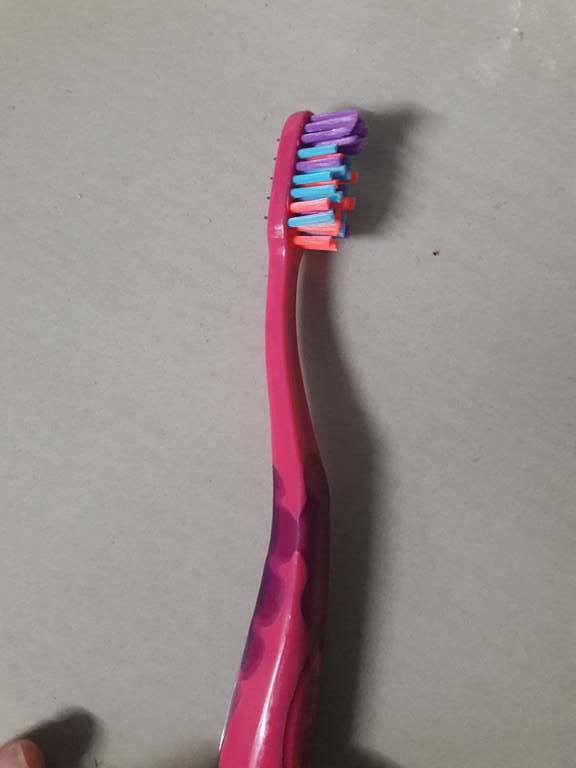 This toothbrush is safe for babies because it has a short neck so I wouldn't choke and an oval shape teething ring on the bottom. This is the photo of me using the Step 1 toothbrush when I was about 1 year old. 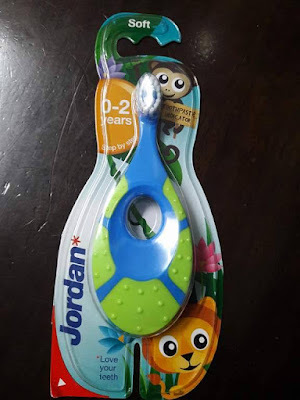 Now that I am older, I tried Jordan's Step 4 toothbrush. I really like it because I can get a good grip of the toothbrush and the different level bristles are very effective in brushing out the food stuck in between my teeth. I also like the tongue cleaner at the back of the toothbrush. 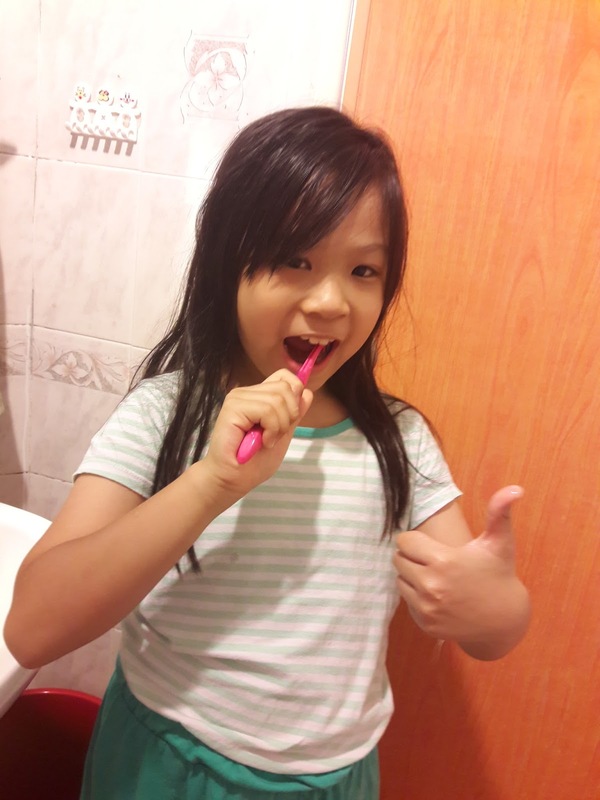 Now that I have Jordan toothbrush, I will always try to remember to brush my teeth because brushing my teeth is so much easier and cleaner. 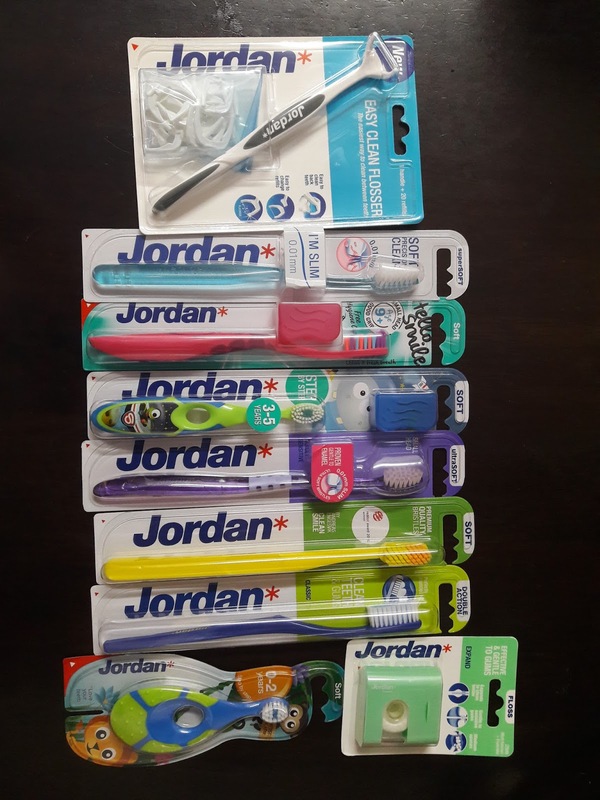 Thanks to Jordan for the toothbrushes and floss. Happy 180th anniversary to Jordan!